1 Burke, John and John Bernard Burke, The Royal Families of England, Scotland, and Wales, with their Descendants, Sovereigns and Subjects, Vol. II, London: J. Billing, Printer and Stereotyper (1851), Pedigree xv: Frevile Lambton Burne, Esq., Google Books (Digital Library). 2 Fraser, ed. Antonia, The Lives of the Kings and Queens of England , New York: Alfred A. Knopf (1975), 24. 3 Luther, George A., editor and compiler, The Luther Genealogy: A History of the Descendants of Captain John Luther, Who Arrived in the Massachusetts Bay Colony, 1630-1635 , Penobscot Press (2001), 81. 4 Morris, Jean, The Monarchs of England, New York: Charterhouse (1975), 29. 5 Richardson, Douglas, Royal Ancestry: A Study in Colonial and Medieval Families , Salt Lake City, Utah: Douglas Richardson (2013), Vol. IV, p. 31. 6 Richardson, Douglas and Kimball G. Everingham, Plantagenet Ancestry: A Study in Colonial & Medieval Families, 2nd Edition , Salt Lake City, Utah: Douglas Richardson (2011), Vol. 1, p. 285. 7 Richardson, Douglas and Kimball G. Everingham, Plantagenet Ancestry: A Study in Colonial & Medieval Families, 2nd Edition , Salt Lake City, Utah: Douglas Richardson (2011), Vol. 2, p. 161. 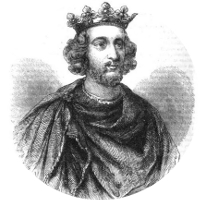 8 Wikipedia, "Geoffrey Plantagenet, Count of Anjou", (accessed 10/18/2012).